Over 15 years helping companies achieve supply chain security through CTPAT certification. SGT will evaluate one of your facilities or suppliers against the CTPAT Minimum Security Criteria. You will gain full understanding of our process and methodology, and receive an actionable report that helps secure your supply chain. This is an important step towards sustaining your long-term CTPAT program. CTPAT Tips & Advice! Join our newsletter for the latest. Download the 2019 Risk Report. With over 10,000 certified partners worldwide, CTPAT certification is a unique window of opportunity for securing new contracts and business relationships, giving you leverage over non-members and exclusive access to partners who require CTPAT participation. 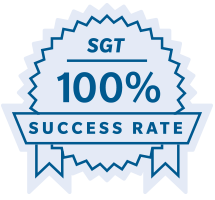 SGT helps companies achieve CTPAT Certification through a broad range of custom solutions, strategically designed for cost-effective implementation long-term sustainability, and minimal disruption to ongoing operations. How much does CTPAT Certification cost? How will CTPAT Certification help me? An overview of CBP Field Operations, one of three uniformed law enforcement branches of U.S. Customs and Border Protections. CBP Field Operations enforces the laws at every land port, sea port, and international air port that receives passengers or cargo. CBP Field Operations protects U.S. borders from criminals, terrorists, narcotic traffickers and weapons smugglers. They intercept pests and plant pathogens that could harm our food supply, natural resources, and public health. They also collect the proper duties to keep the engine of the economy running. Copyright 2018-2030 Star USA Inc.
Website design by Go Media Inc.
Star USA is the recognized Industry leader for International Trade Compliance.